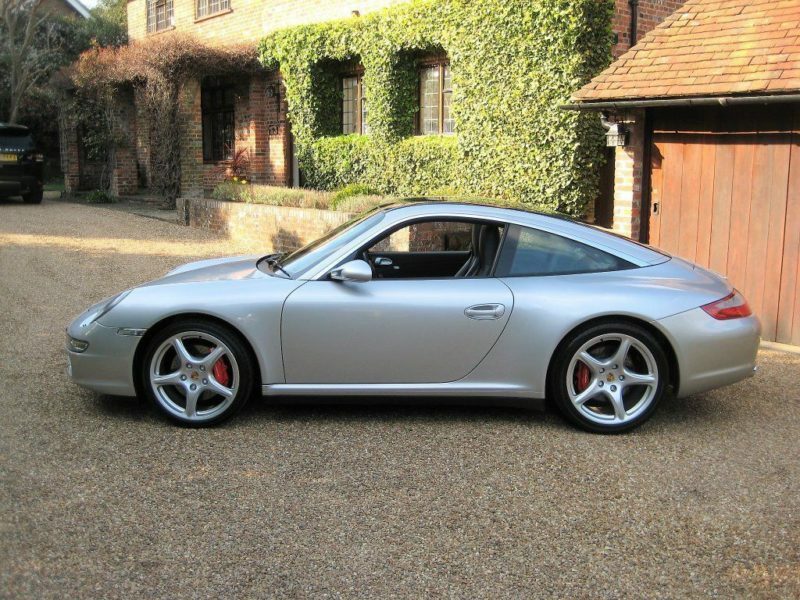 ONLY 38,000 MILES WITH JUST 2 P/OWNERS FROM NEW. 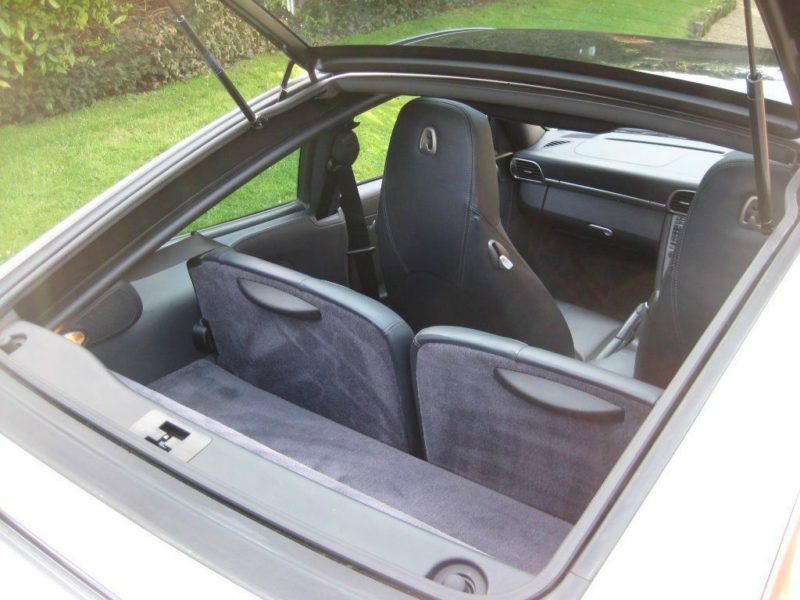 Very rare widebody Targa 4S 6 speed manual finished in Arctic Silver Metallic with full Metropole Blue leather. 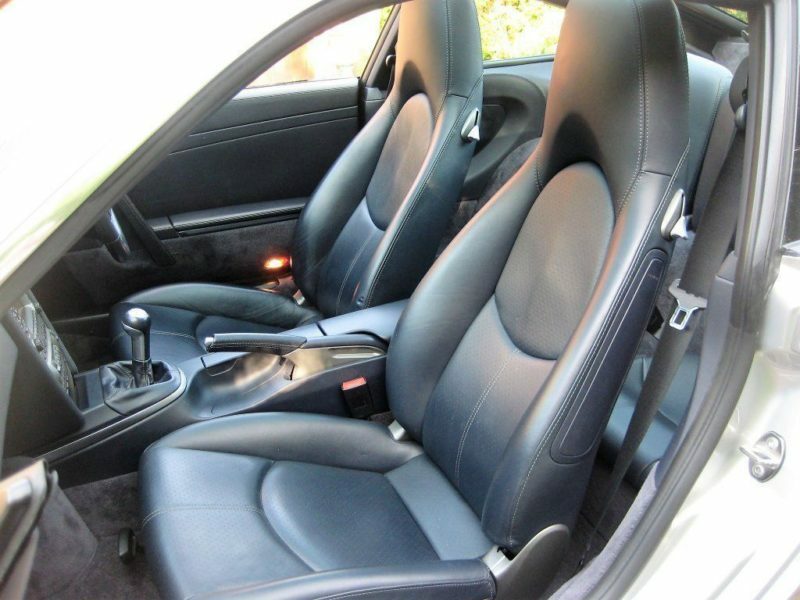 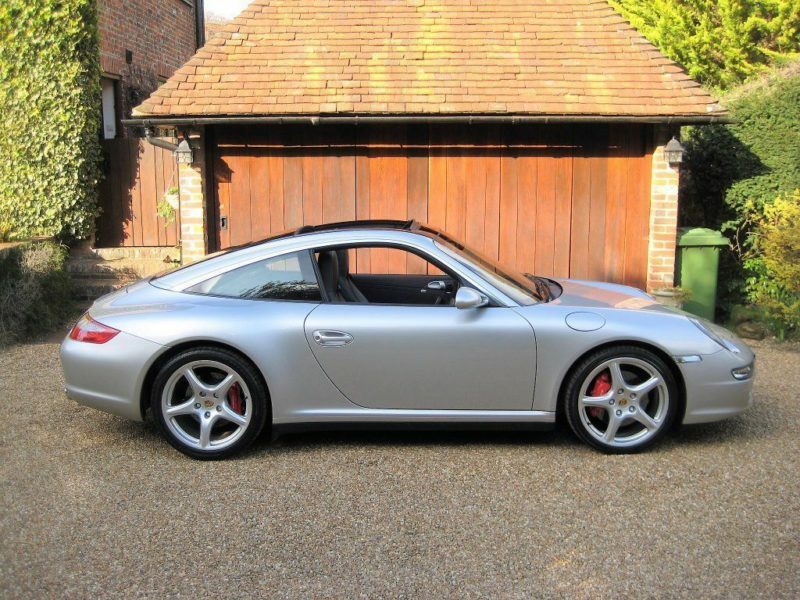 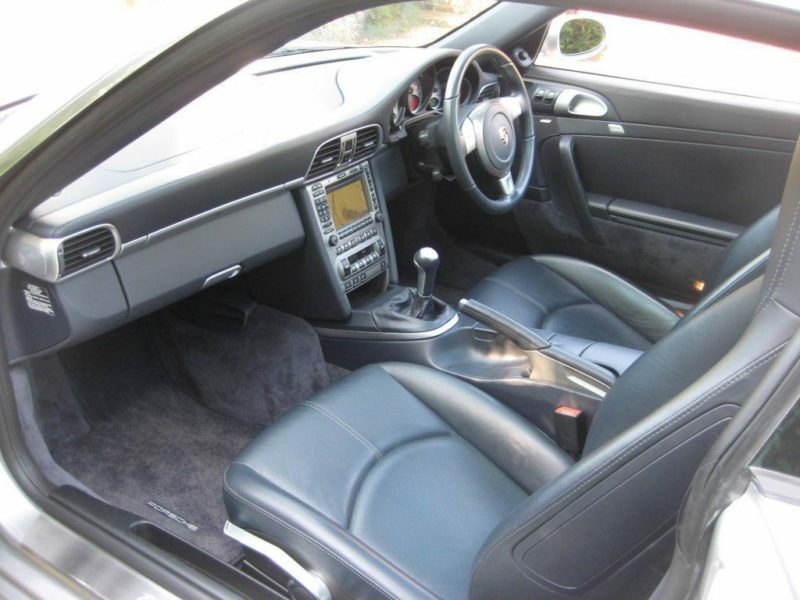 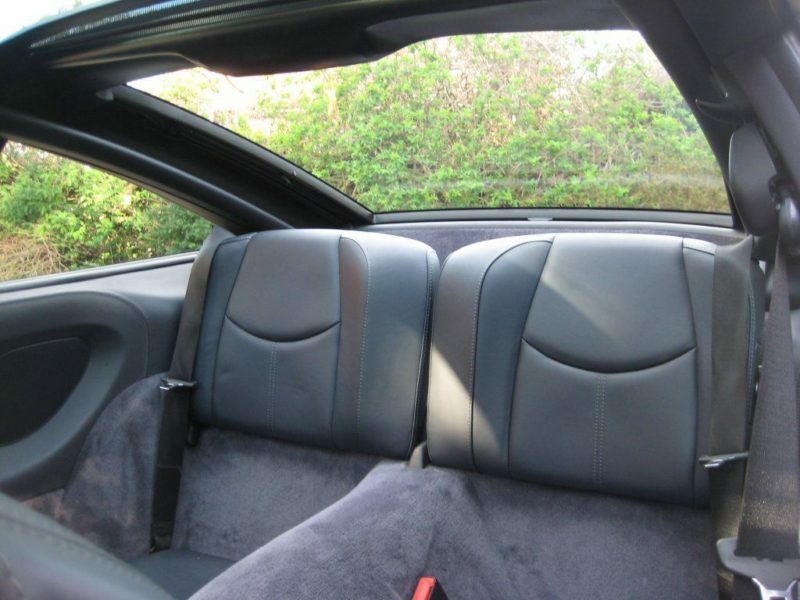 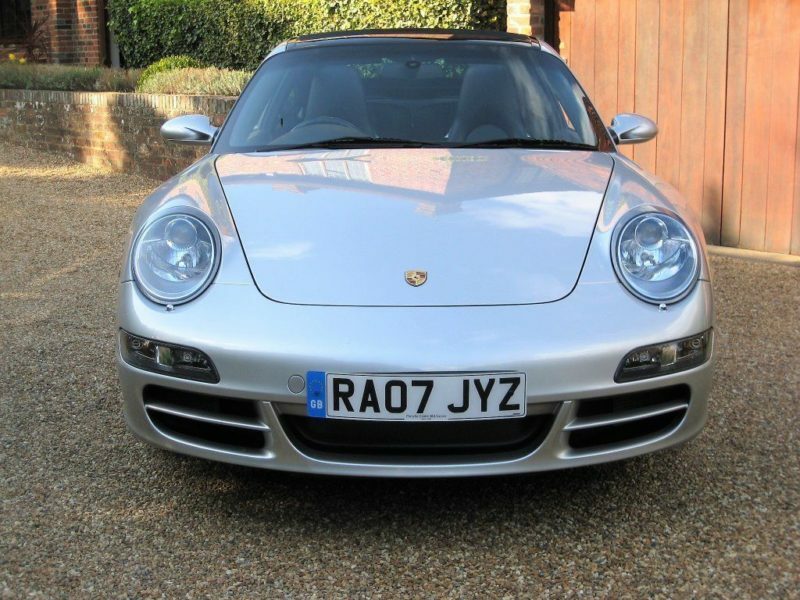 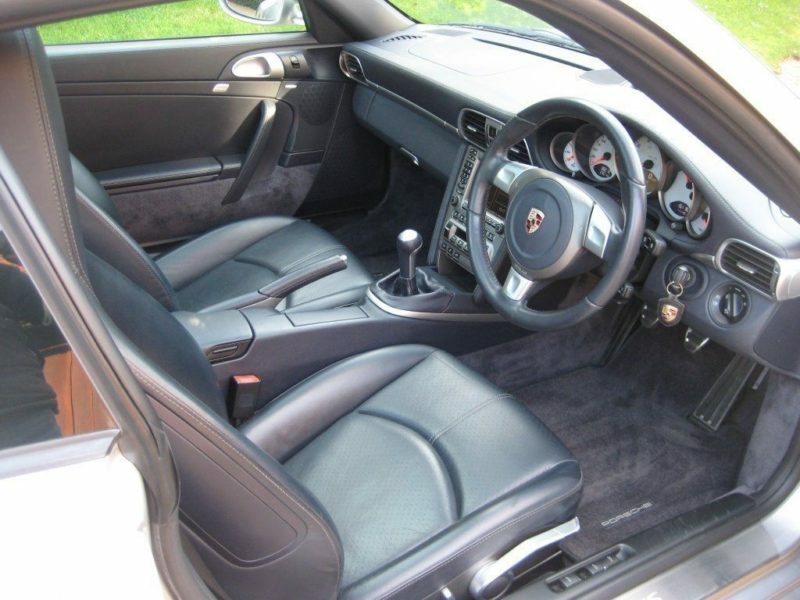 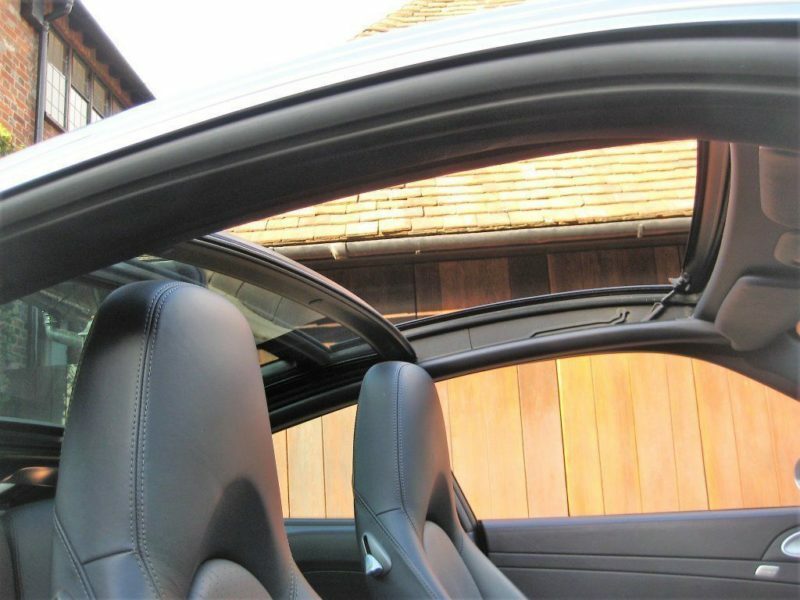 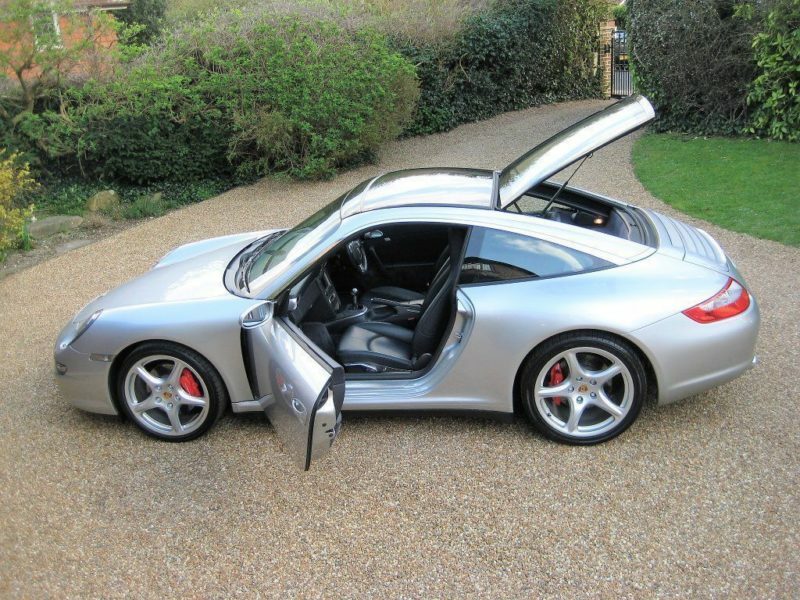 Optional specification includes PCM Navigation Module, BOSE sound system, heated seats, 3-spoke leather steering wheel, cruise control, illuminated ‘Targa 4S’ door entry sills, park Assist, unmarked 19″ Carrera Classic alloys with matching Bridgestone tyres, wheel centres with coloured Porsche crest, SWITCHABLE SPORTS EXHAUST SYSTEM (sounds amazing), Porsche vehicle tracking system, fitted Porsche carpet mats etc. 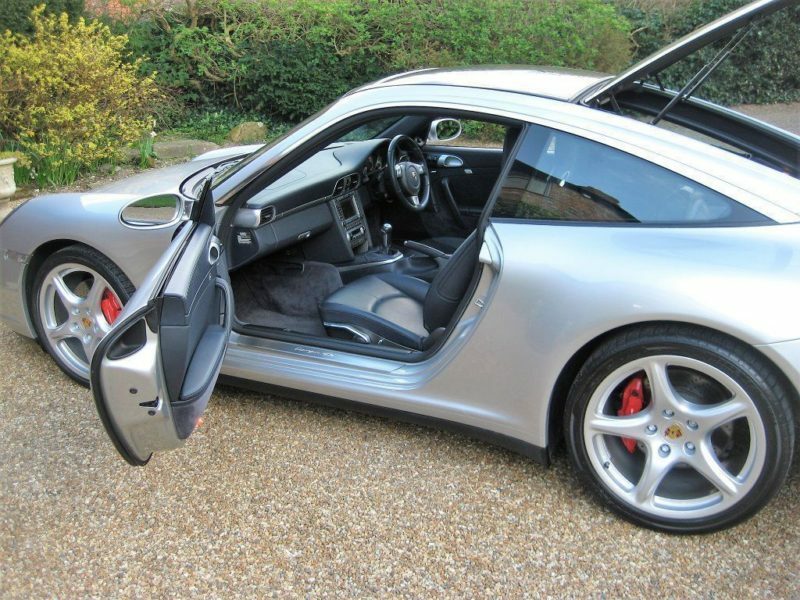 Cost new in excess of £78k with over £5k of optional extras. 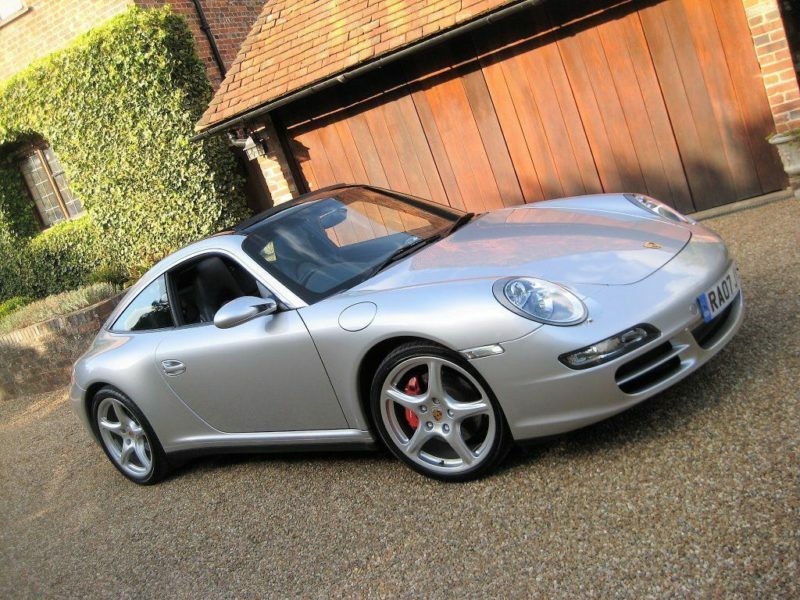 Supplied new by Porsche Centre Reading with full Porsche Centre Mid Sussex service history from new. 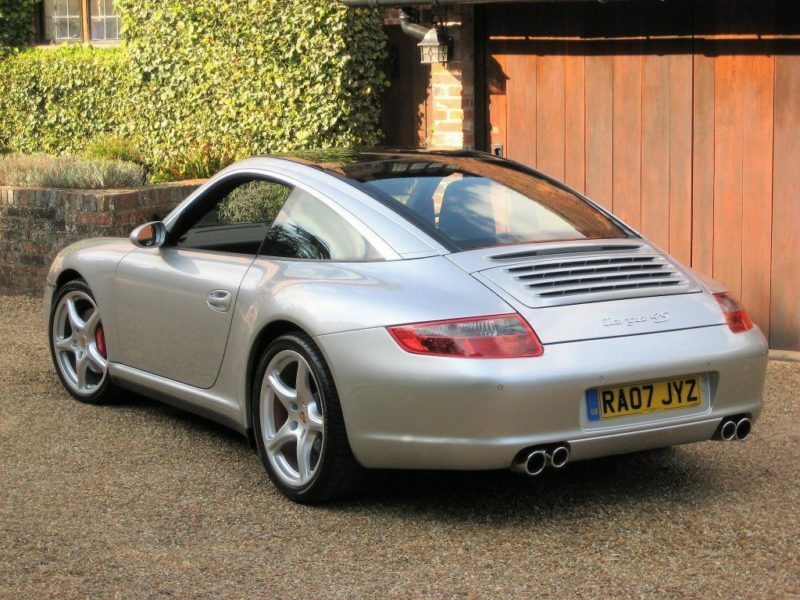 Last serviced at 36,781 miles by Porsche Mid Sussex. 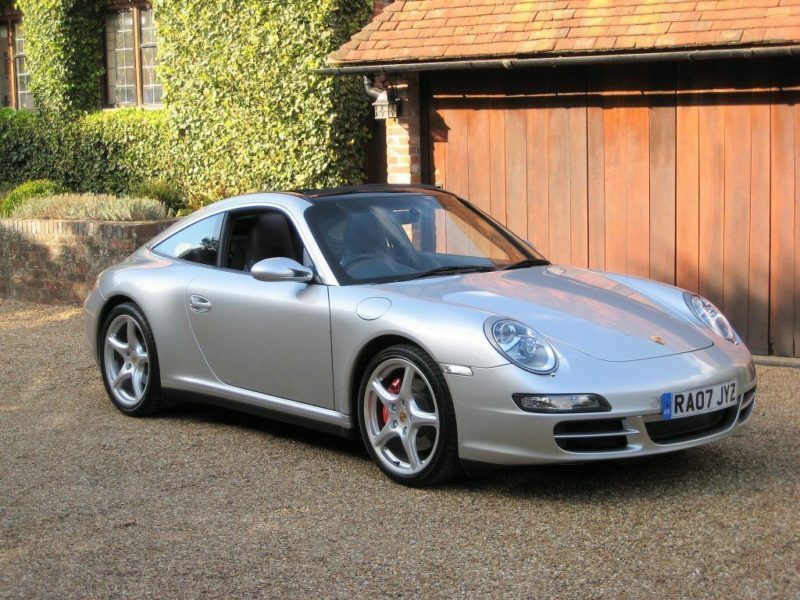 Complete with owners book pack, both remote keys + new 12 months MOT. 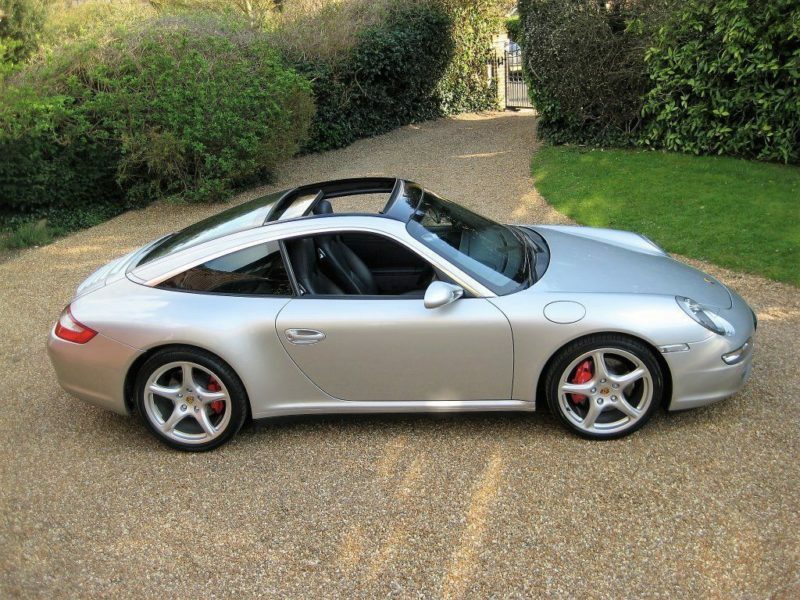 911 Targa’s are fast gaining classic status as so few were produced, especially the 4S with such low mileage and are arguably one of the best looking 911’s. 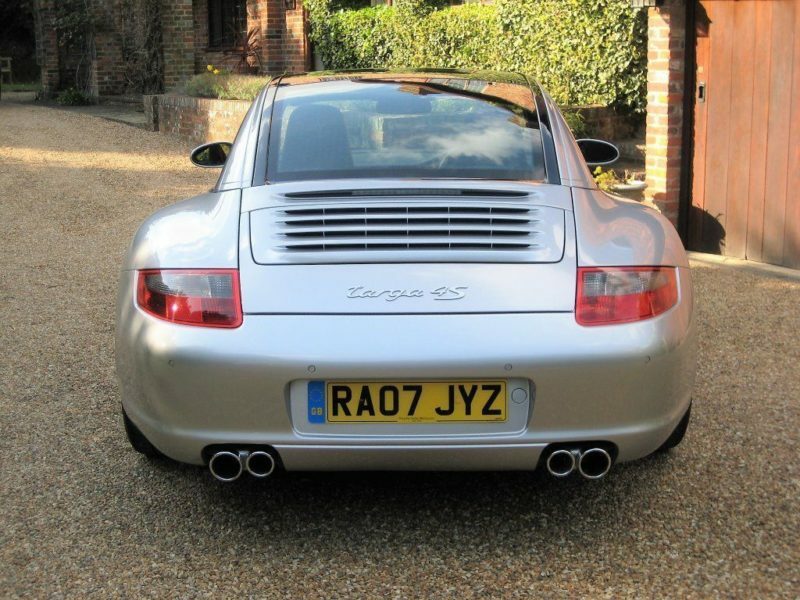 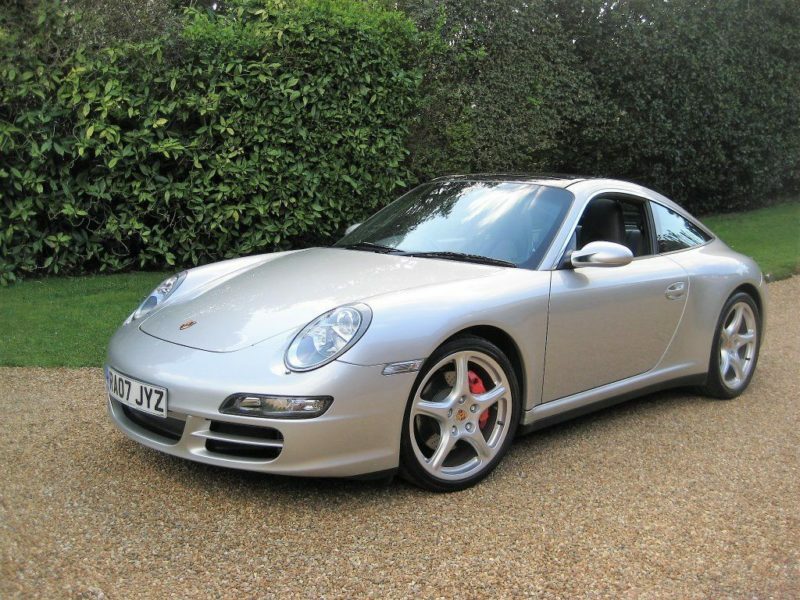 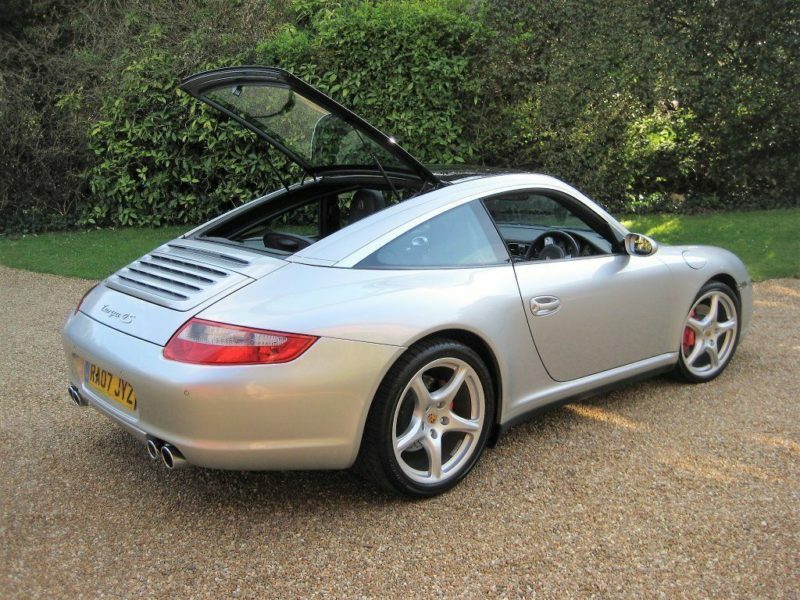 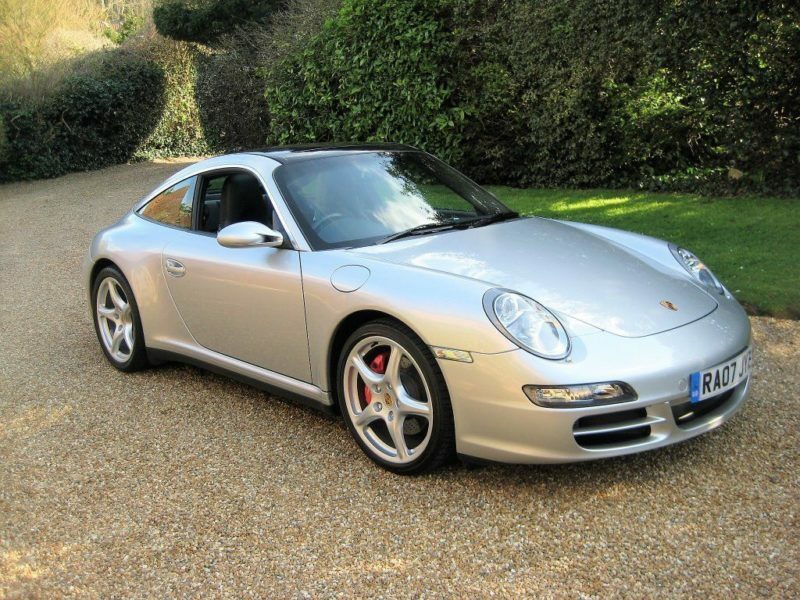 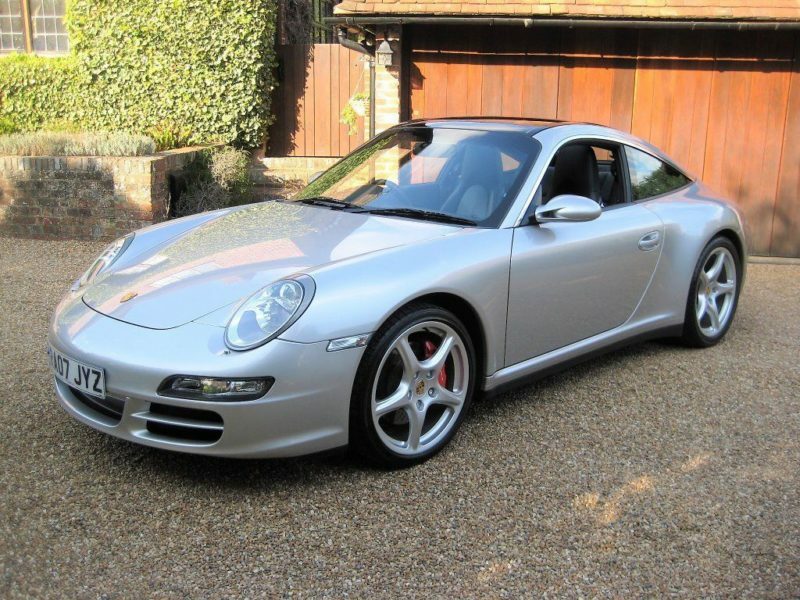 THIS IS AN ABSOLUTELY STUNNING LOOKING LOW MILEAGE EXAMPLE WITH PERFECT PORSCHE MAIN AGENT HISTORY FROM NEW.